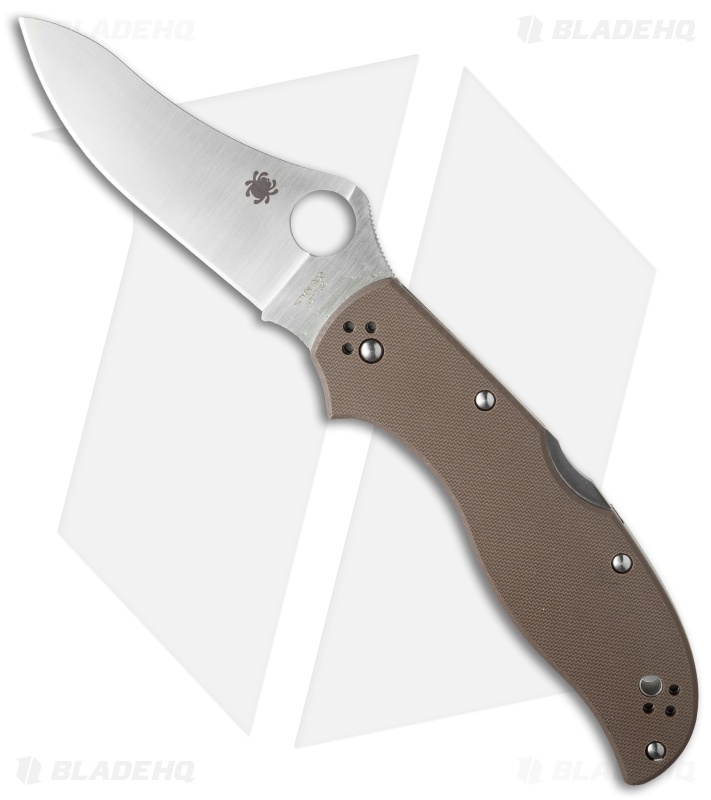 This Stretch 2 folder features brown G-10 scales over a stainless steel frame and a ZDP-189 steel blade! Despite the many advantages of Spyderco's lightweight knife, some users prefer the greater heft and strength of a more robust handle construction. The new Stretch 2 delivers this in style by expressing this proven design with full skeletonized stainless steel liners, a stainless steel back spacer, textured brown G-10 scales, and a stainless tube lanyard hole. 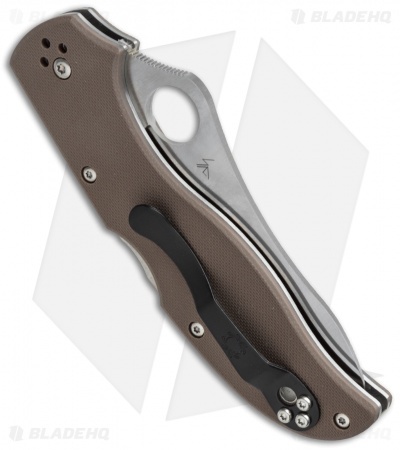 Like its lightweight counterpart, it also features an ultra-high-carbon ZDP-198 steel blade, a stout back lock mechanism with a Boye Dent, and a versatile four-position hourglass clip. The Spyderco C90 Stretch started as a pet-project lockback knife design. Spyderco’s owner and chief designer Sal Glesser made it for his personal use, incorporating features he wanted. He wanted high performance blade steel with edge retention super-powers for outdoor cutting: things like wood, rope and anything encountered in the wild. It had to work equally well indoors on cardboard, mail and fingernails. He sized it so it wouldn’t scare non–knife people and made it look slick on the off chance he’d someday have to wear a suit. Its definitely a large knife, but with the zdp-189 you will not have to worry about constant sharpening. The theng10 scales and the build quality is top notch. Get it while you can! 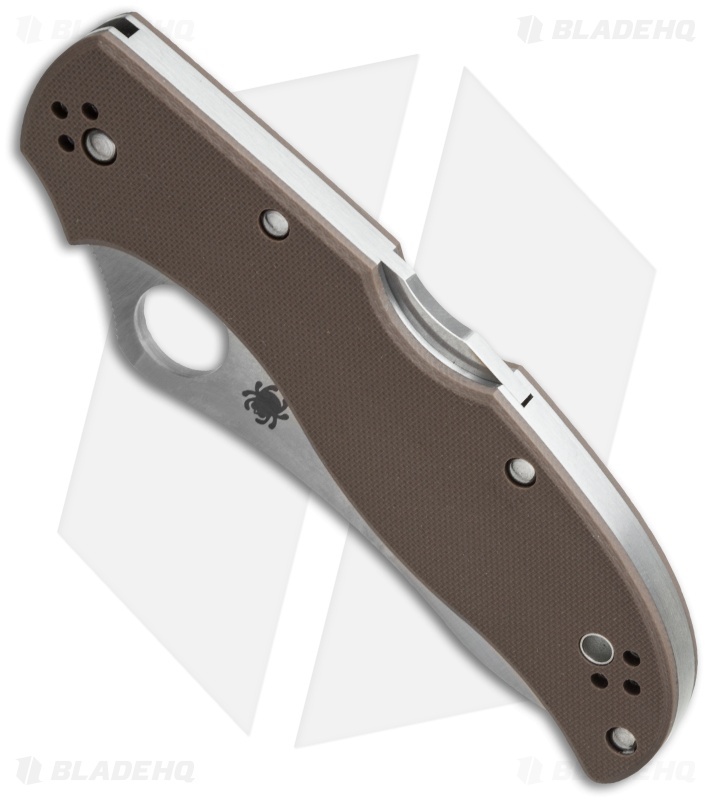 This Stretch 2 is a balanced knife that does not have any issues with rough usage. ZDP-189 takes an extremely sharp and aggressive edge with exceptional wear resistance. The ergonomics are outstanding and the knife feels incredibly solid. The blade geometry lends itself to both precision cutting and hard cutting, which made this knife one of my most favorite Spyderco knives. This knife is like very sharp out the box, thin blade, and its good.